Banding-Wheel big diameter 30cm made of rustless, pressure-cast zinc. This Banding-Wheel has an one ball bearing centered at the top of the spindle, therefore it turns easily and guarantees a smooth and exact running.The working surface is flat polished and has got concentric grooves, which make an exact positionning of the modelling material possible. 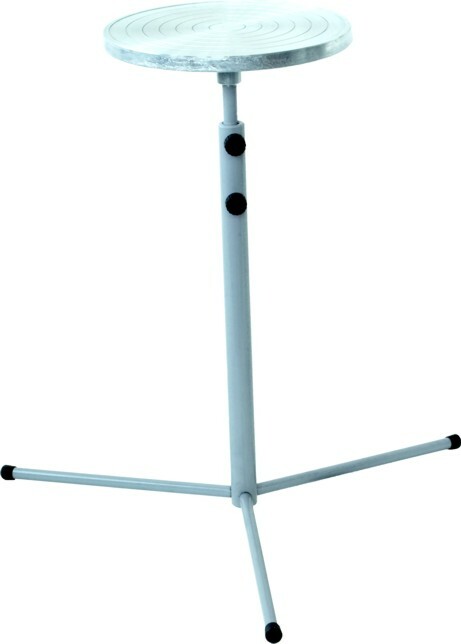 The telescopic tripod rack is adjustable in height. The legs can be screwed off to minimize the space needed for storage.